Bio: Kainat Kaleidoscope is all about the beautiful escapades in Shraddha’s life where she shares her travel experiences with the world! To collaborate please drop a comment in any of my posts and I shall get back to you. As the partnership manager of Contiki, I do think that both of our brands are in alignment and hopefully we can explore opportunities to work together. Contiki is the World’s leading youth travel company. We offer unbeatable travelling experience for 18 – 35 year olds. With 2nd to none mix of sightseeing and experiential travelling in over 40 countries across 6 continents. The travel trends clearly show that travelers from India going abroad for vacations are increasing year on year. I’m looking to see if we can partner together. Being the world’s leading youth travel company, we have fabulous number of awesome reviews and one of the industry’s highest customer retention rate – you can be reassured that you are recommending nothing but the best to them. This is a personal invitation from Contiki Holidays to you, we’d like to offer you a VIP commission structure of 10% commissions on all tours booked (our normal commission rate is 5%) This commission structure is equivalent to what we offer to travel agencies but having seen the potential with working with you, I’ve requested for the VIP rate for you. I will be more than willing to share with you on how we can work together with little steps at a time so that we both are comfortable with each other. I’m positive we will have a solid long term partnership together. 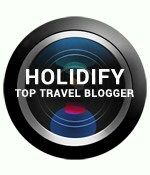 we are looking for partnershp with travel bloggers just like you.